Hal beat cancer, returned for the Texans in 2018, and is now calling it a career. Andre Hal beat cancer in 2018, returning for treatments for Hodgkin’s lymphoma in time to help the Texans rally to an AFC South title. And with his greatest foe defeated, he’s leaving the gridiron behind him. Hal announced his retirement Tuesday after five seasons in Houston. The former seventh round pick leaves behind a legacy of resilience after starting 40 games and making a dozen interceptions for the club. How did Hal get back to the field? 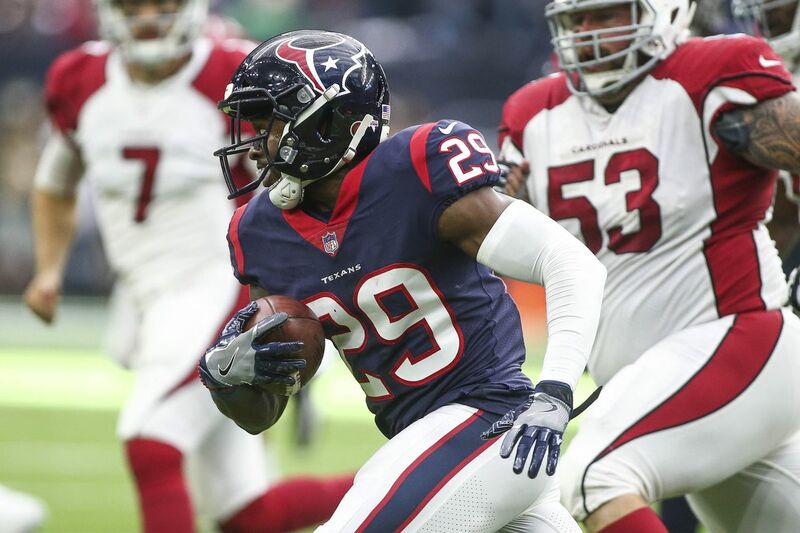 Back in June, the Houston Texans announced starting safety Andre Hal had been diagnosed with Hodgkin lymphoma. On Wednesday, team doctor James Muntz announced some great news — Hal’s cancer has gone into remission. Hal was informed his Hodgkin lymphoma had gone into remission last Tuesday. The veteran defender attributed the hard work and faith that turned him from a potential training camp casualty to a seasoned starter as the catalyst behind his recovery. “I never stopped working out,” Hal told reporters Wednesday. “I was obsessed. I just want to get back on the field. What did his return mean for the Texans in 2018? Hal was a homegrown success story in Houston. The former All-SEC performer from Vanderbilt was a seventh-round flier for the franchise in 2014, but he quickly developed into a dependable piece of the Texans’ secondary. He ascended into a starting role in 2015 and held that spot the past three seasons, giving the team above-average play in center field while hauling in nine interceptions. Houston rewarded him with a three-year, $15 million contract in 2017, then had to scramble to find his replacement after his lymphoma diagnosis this summer. But while Hal may be coming off the battle of his life, did not cost him the entirety of the 2018 season. Hal specifically avoided chemotherapy in hopes of being able to return in 2018. He was a potent boost for a Texans secondary that currently ranks 31st in the league in opponent passer efficiency. Pairing him with Tyrann Mathieu gave the club an intimidating last line of defense — and allow an overtaxed Kareem Jackson to slide back to cornerback.